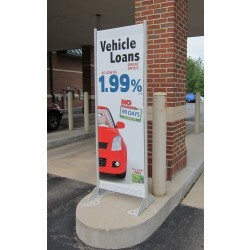 Feather Banners, which are also called flying banners or beach flags, are a popular form of outdoor advertising, although they are often seen indoors at trade shows and conferences. 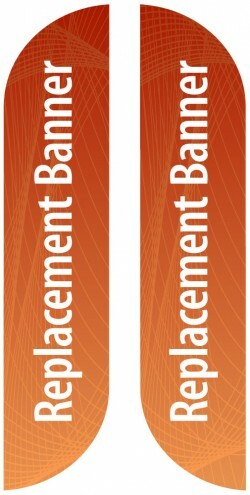 The Feather Banner Medium holds a 29.5" x 136" fabric banner. 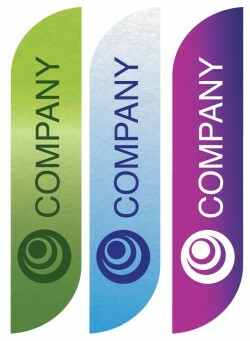 Feather Banners, which are also called flying banners or beach flags, are a popular form of outdoor advertising, although they are often seen indoors as well at trade shows and conferences. 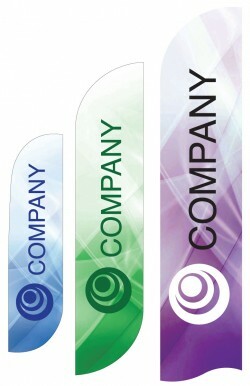 Feather banners are often used in front of businesses and at outdoor venues for sporting events, festivals, and fairs. The stand itself consists of a multi section pole where the lower sections are aluminum, and the upper sections are flexible fiberglass. 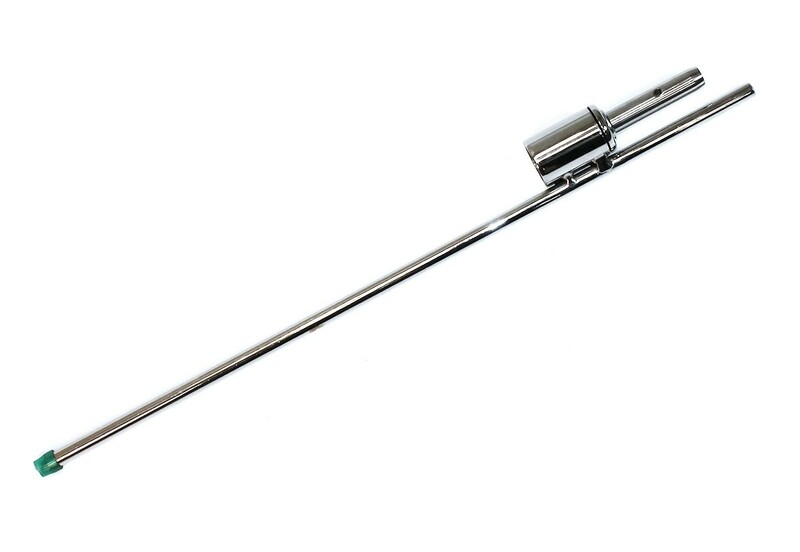 The aluminum sections of this premium product feature reinforced metal inserts on the pole section ends for maximum durability to resist strong winds without bending. The assembled pole inserts into a reinforced pocket on one side of the banner, and the flexible fiberglass sections conform to the shape of the flag to hold it flat. The included bungee cord is tied to a mounting hook on the bottom pole section and fastened to the grommet in the bottom of the reinforced pocket on the banner to ensure the banner stays in place on the pole. 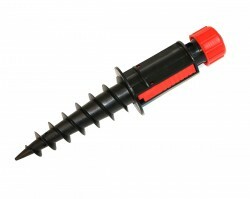 There are multiple base options available, including the chrome plated steel ground spike and X base, the plastic screw base for use in sand and snow, and the water base that is a hollow base that can filled with water for extra stability on hard surfaces. 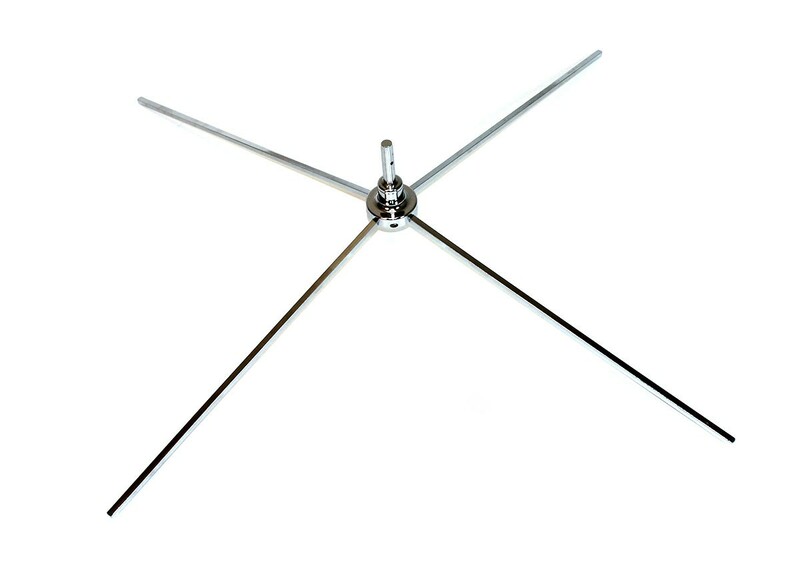 The feather banner pole fits over a spike on each base that allows the flag to rotate in the wind, and the ground spike and X base include ball bearings in the spike section that allow it to turn with minimal resistance. 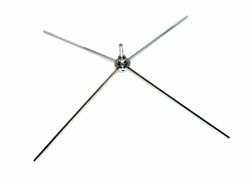 The rotation of the banner in the wind helps to reduce the wind load on the banner stand so that it can be safely used in up to 25 mph winds when using the ground spike or water base. 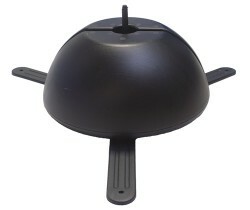 The X base is for use indoors or less windy conditions, but it can be used with the water bag accessory, found in the Related Products tab, to increase the stability of the X base on windy days. 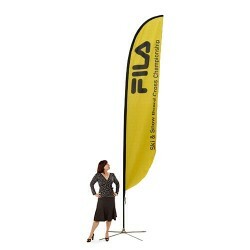 Because the size and weight of the banner, and the wind conditions will all effect the stability of the display with the X base, be sure to monitor the stand closely in windy conditions and additional weight or take the stand down if the stability is in doubt to prevent it from blowing over and causing injuries. 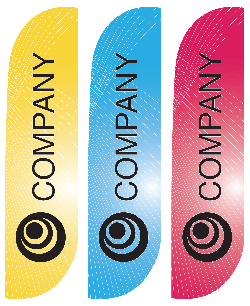 Printed using dye sublimation on lightweight polyester fabric, these flags can be ordered single or double sided. The single sided version can still be read from both sides since the printing shows through to the back side, but any type or logos will be reversed on the back. The double sided version has two prints sewn back to back with a blockout layer in between to prevent any show through from one side to the other. 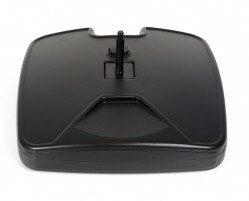 This allows any text or logos to read correctly from both sides. The dye sublimation printing process produces vibrant color that becomes part of the fabric so it can't be scratched or washed off, but the down side is that dye inks do not have good fade resistance and have a prorated 3 month warranty against fading. If they are not left in the sun and weather full time, they will last longer, so where possible, we recommend taking the banners down when not in use to prolong their life. NOTE: Outdoor banner stands that have a water filled base can freeze in very cold weather and damage the base, so antifreeze can be added to the water to prevent this. 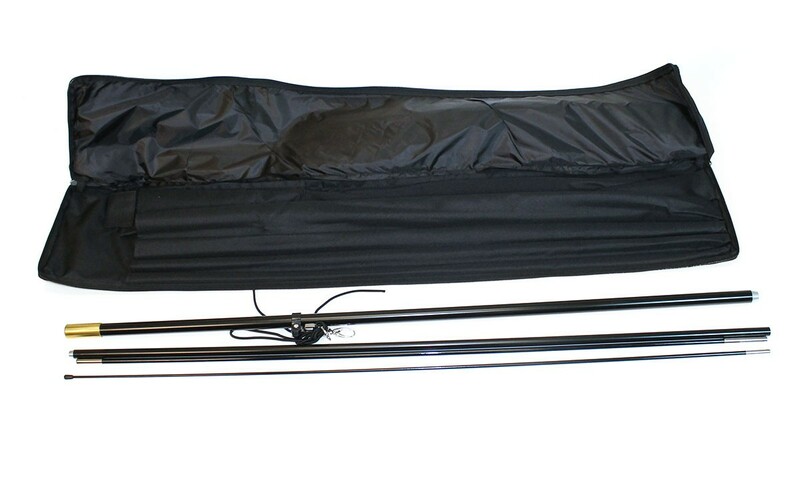 The Feather Banner outdoor banner stand comes with a heavy canvas travel bag. 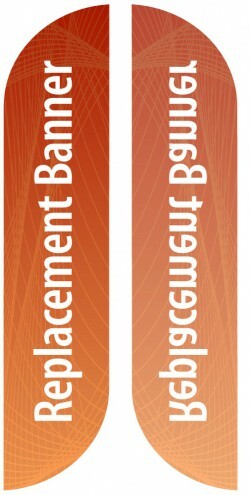 The Feather Banner Medium holds a 29.5" x 136" fabric banner. 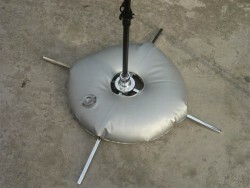 The Water Bag weight for the X base option, extra bases and replacement banners can all be found in the Related Products tab. Footprint with X base: 39.5" x 39.5"
Shipping size: 48" x 6" x 6"